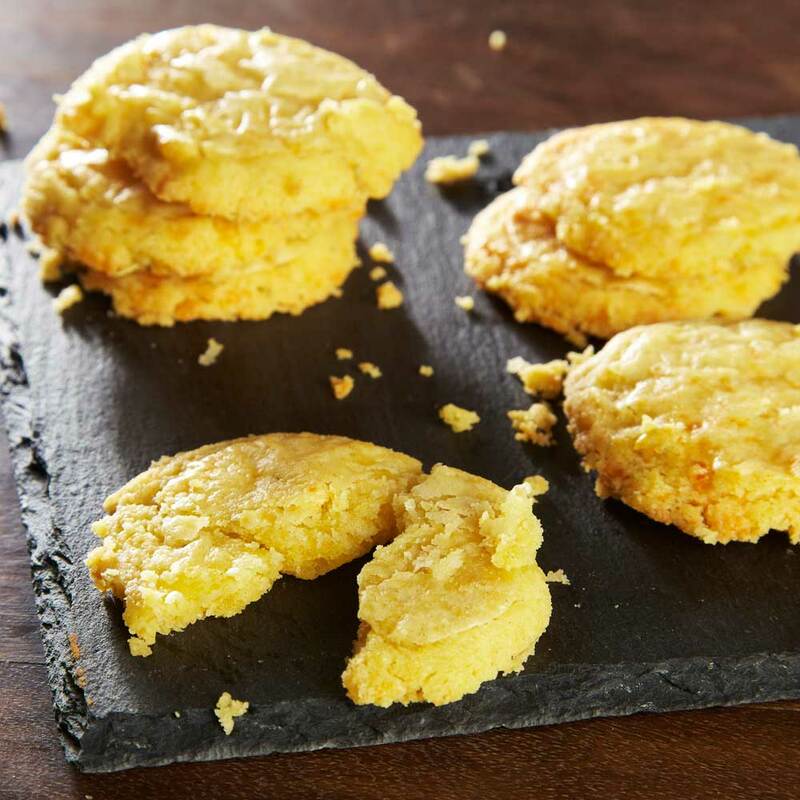 These indulgent savoury biscuits are as simple to make as they are delicious. Perfect on their own, or topped with pickle or chutney and a piece of ham. Mix butter, flour, cheese and rosemary together. Bring to a dough (you should not need to add any water to do this), place in a bowl, cover and chill for at least an hour. Preheat the oven to around 160C. Roll out the dough to around 5mm thick and cut into small rounds (3-4cm). The left over dough can be rolled out again. Place onto a baking tray lined with a non-stick mat or some baking parchment. Do not put them too close together as they will spread a little. Brush the top of each with a little milk and place into the oven. Cook for 12-15 minutes until lightly browned. Remove from the oven and leave to sit on the tray for 4-5 minutes. Carefully remove to a cooling rack. When they are nicely cooled, they are ready to serve. They can be stored in an airtight container for 3-4 days.